Healthy prepared-foods purveyor Snap Kitchen is entering the Delaware Valley next month with the opening of four area locations: Old City (243 Market St., 215-845-0004), Rittenhouse Square (1901 Chestnut St., 215-845-0002), Fairmount (1901 Callowhill St., 215-845-0001) - all in Philadelphia proper - and in Malvern (5 S. Morehall Rd.). Future locations are coming to Midtown Village (1109 Walnut St., 215-845-0003) in Philadelphia, Villanova and Cherry Hill. The entire menu of pre-packaged meals is gluten free, save for the whole-wheat pita crisps and the Caesar salad (which contains said crisps). Snap Kitchen currently operates in Chicago, Dallas, Austin and Houston. At the week-old Revolution Taco on Rittenhouse Square (2015 Walnut St., 267-773-8120), all of the taco varieties except for roast duck and fried tofu are gluten free, as are the burrito bowls. Coming to Exton in April is World of Beer (128 Woodcutter St.), which lists gluten-free items on its menu and offers more than a dozen hard ciders along with several gluten-free beers. Most items on the menu at vegetarian-friendly Front Street Cafe, in Philadelphia's Fishtown section (1253 N. Front St., 215-515-3073), are or can be made gluten free. Whole Hog Cafe has opened a second area restaurant in Medford (192 Rt. 70, 609-678-1808). All of the BBQ meats are gluten free, as are many of the sauces and sides. 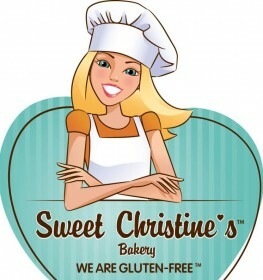 One of the area's first all-gluten-free bakeries, Sweet Christine's, is reopening its retail store in Kennett Square (503 Orchard Ave., 610-444-5542 next month. Owner Christine Ruggio closed the store about a year ago to focus on national wholesale distribution. On Thursday, Jan. 28, Brulee Bakery is collaborating on an entirely gluten-free prix fixe pop-up dinner at Avenue Kitchen in Villanova (789 E. Lancaster Ave., 610-525-3950). The dinner menu features three courses, including entree options such as braised short ribs and brown sugar glazed lamb chops, as well as cream puffs and chai risotto fritters for dessert. Call the restaurant for reservations. Main Line Health is sponsoring a free seminar on the medical case for gluten-free diets in women on Wednesday, Jan. 20 at 6 p.m. at Paoli Hospital (255 W. Lancaster Ave.). Reserve a spot online. Pasta Pomodoro in Voorhees (700 Haddonfield-Berlin Rd., 856-782-7430) is hosting a night out for the CHOP celiac support group - including karaoke - on Sunday, Jan. 31 beginning at 6 p.m. Guests attending will receive 20 percent off their dinner orders. If you plan to attend, text your name and number attending to 856-296-1268. With the removal of barley malt flavoring as an ingredient, Wegmans Crispy Rice cereal is now labeled gluten free. Delaware's Dogfish Head Brewery has retired its gluten-free Tweason'ale beer as of this month. 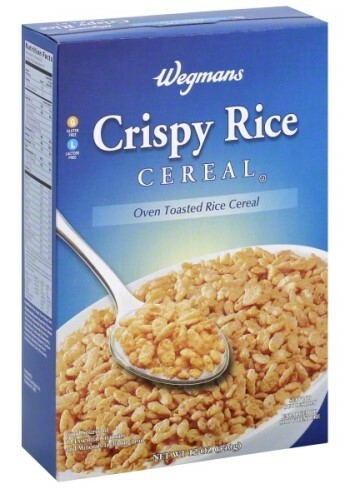 There are no gluten-free replacements planned for 2016. Tweason'ale, which was originally released in 2011, will continue to be sold in stores until current inventories run out.